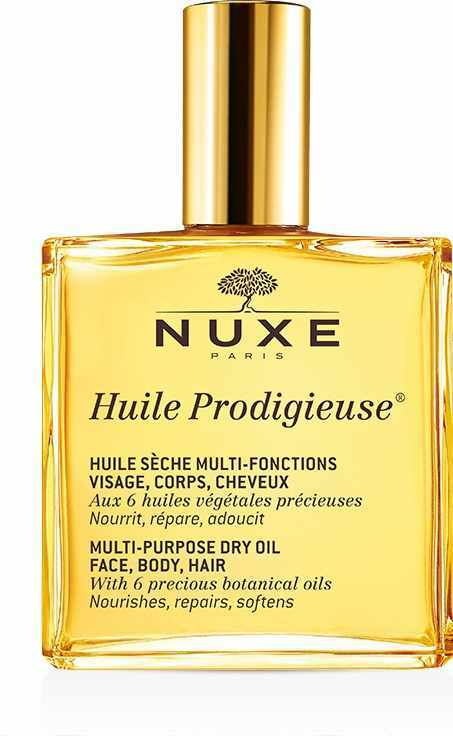 Nuxe Huile Prodigieuse R. Multi-Purpose Dry oil is an oil which can be used on the body, face and hair. This oil contains six essential plant oils, some of them are hazelnut, almond and macademia. Vitamin E it also contains, and all those nourishing oils and vitamins helps to provide a smedig and smooth skin, a silky hair. In short, it is a multifunctional dry oil that moisturizes, nourishes and repairs, leaving your hair and skin nice and soft. All Nuxe products are free of parabens and contains exclusive flower and planteekstrater.